Everyone likes to feel special on their birthday and for other big occasions too! 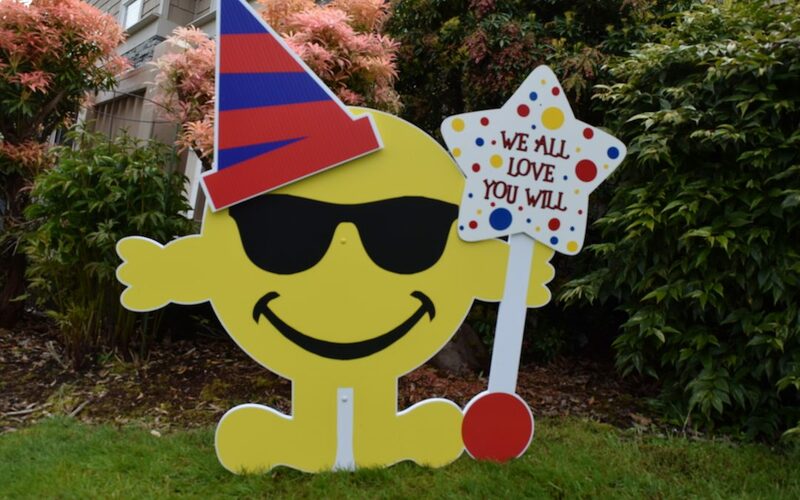 To help you celebrate and decorate for your big day, we offer a 7 foot flamingo sign, giant Happy Birthday cupcake signs, a fun Mr. Smiley sign, and several large humorous birthday signs, many of which allow you to personalize a message for your loved one. These signs aren’t just for birthdays, they are also great for your next big event, retirement, anniversary or graduation ceremony. They can be used indoors or outside in the yard. Sit back and relax, and let us do the yard decorations!